Traditional wooden summertime games *Sunshine not included. Kites go back thousands of years, but modern materials and techniques make them easier to fly than ever before. Get your family running about and enjoying the park, beach or garden with this fun, traditional pastime! 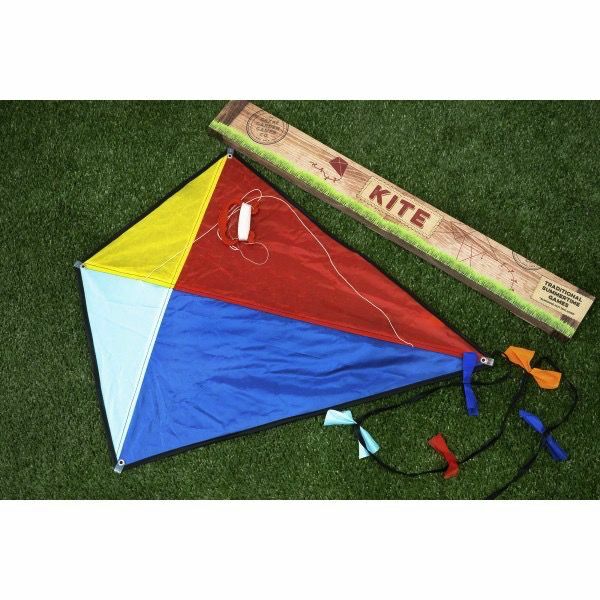 Set contains everything you need to make your own kite. Instruction sheet included.